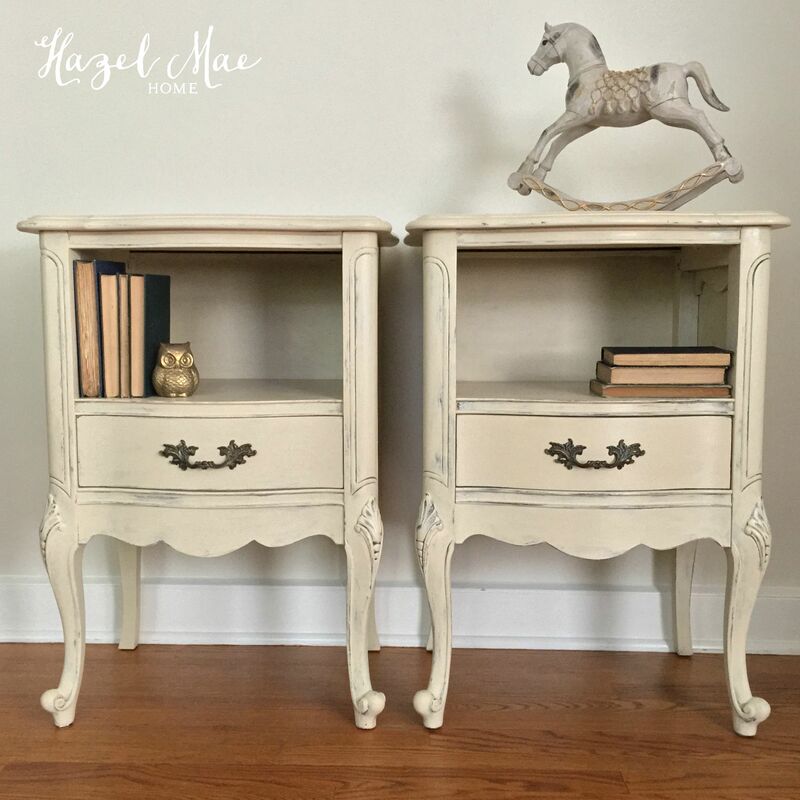 If you follow me on Facebook and Instagram, you got a couple sneak peeks of this hutch in the past couple of days! 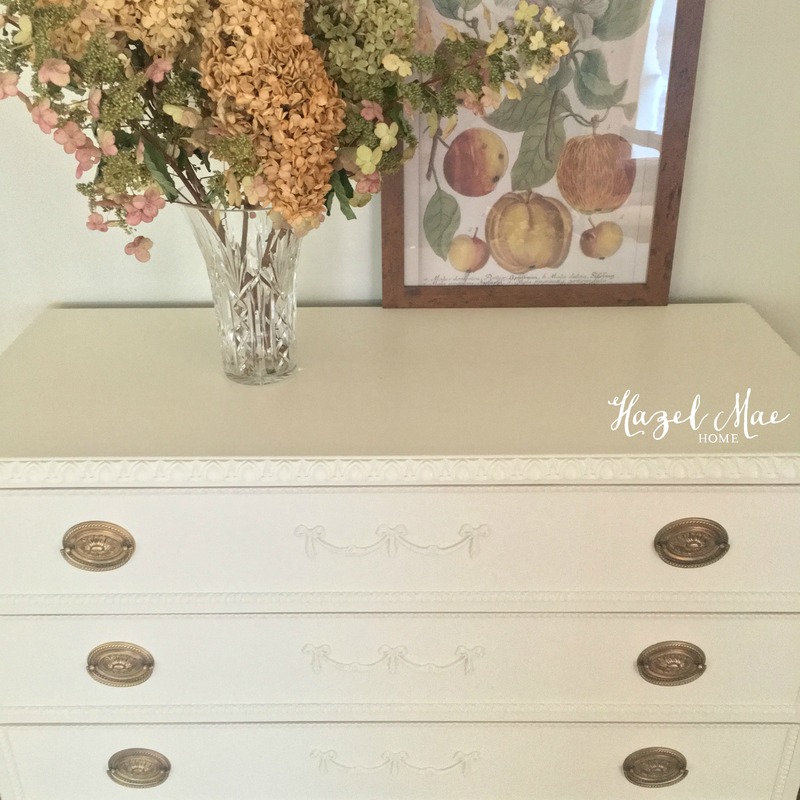 Join me on both so you can see more of what I do in between blog posts! 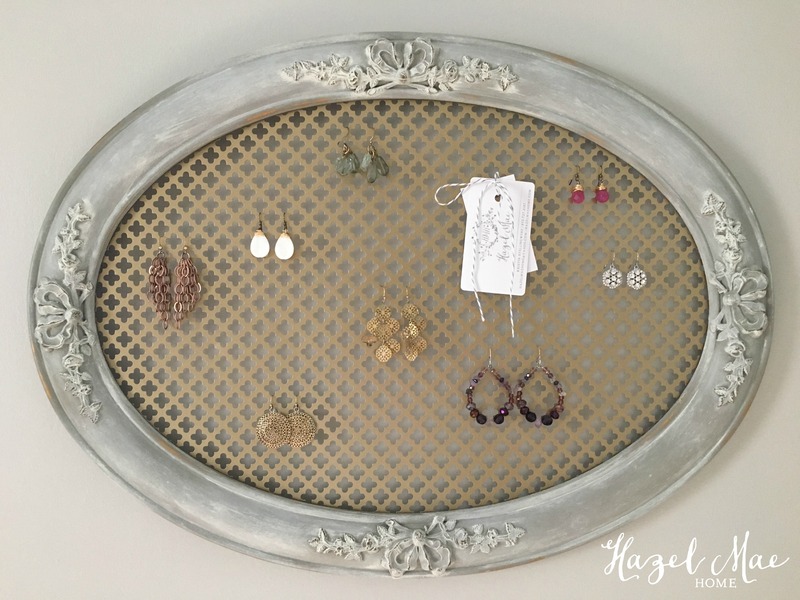 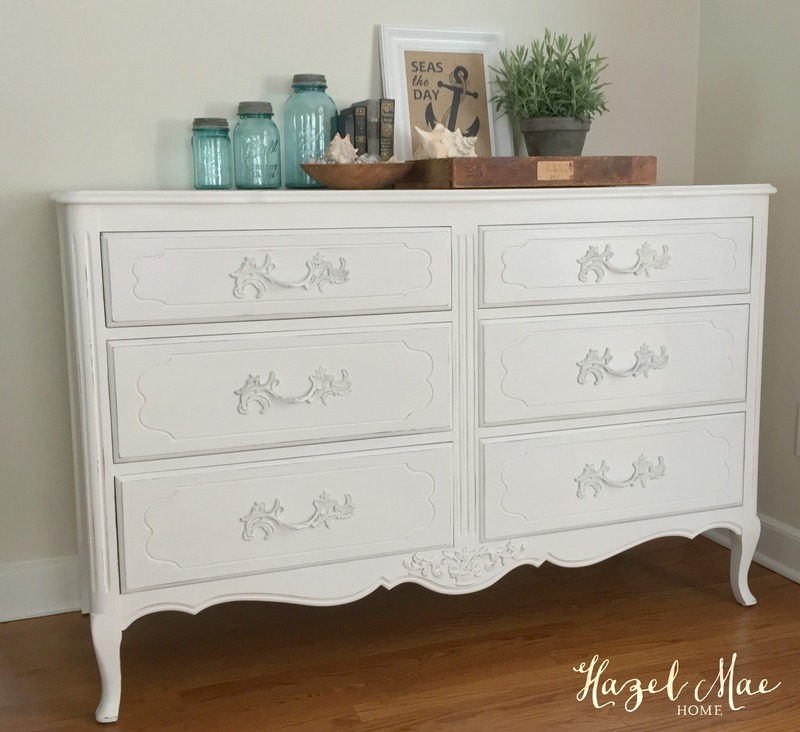 As Jessica was in the process of updating her dining room, she reached out to Hazel Mae Home to redesign her Grandmother’s hutch. 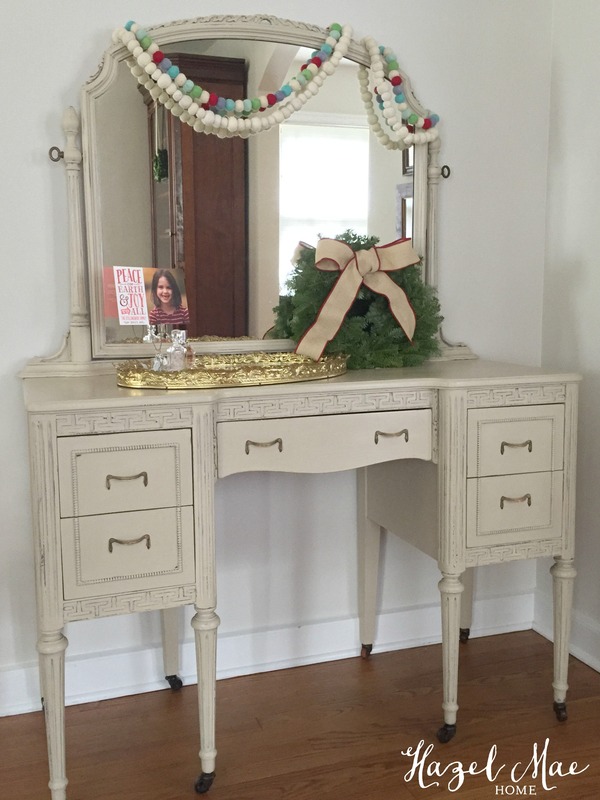 She has fond memories of this hutch in her Grandmother’s home and she inherited it when she moved into her own home. 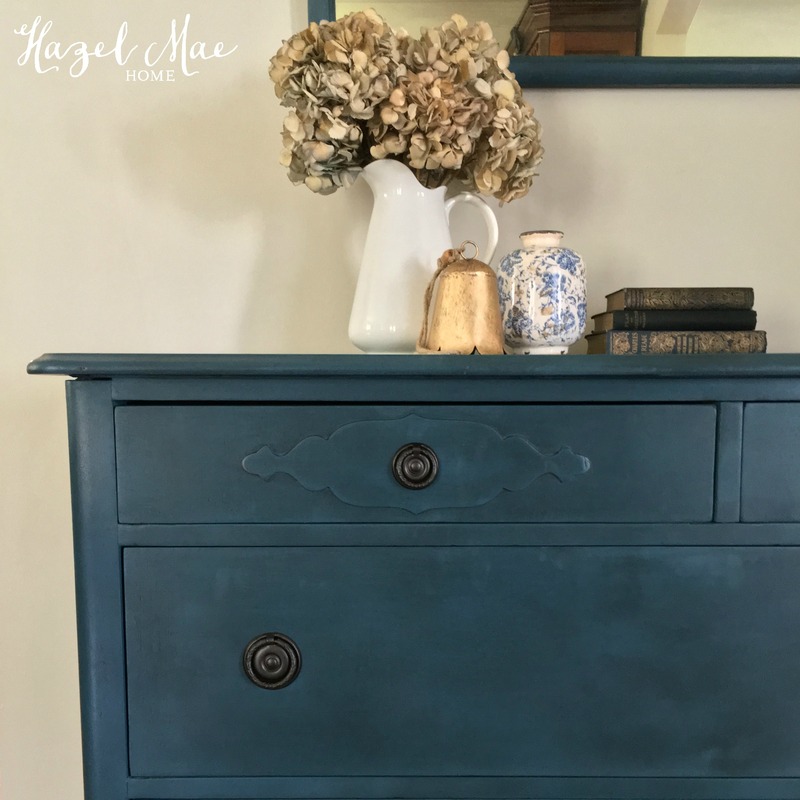 The first step I take with each client is to meet at their home to see their furniture in person and discuss paint color and finish options. 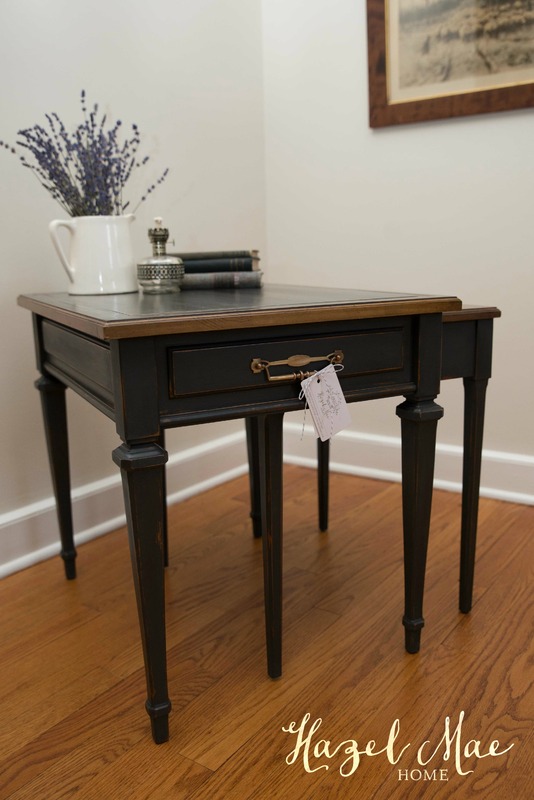 While I was in her home, Jessica showed me a picture of the new Restoration Hardware dining table that she purchased. 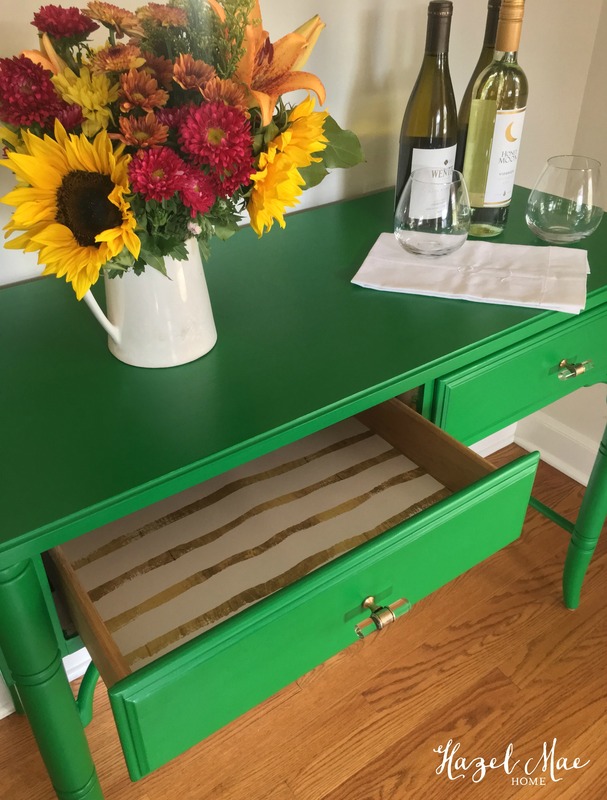 She wanted to keep her cherished Grandmother’s hutch and have it work with her new table and overall dining room redesign. 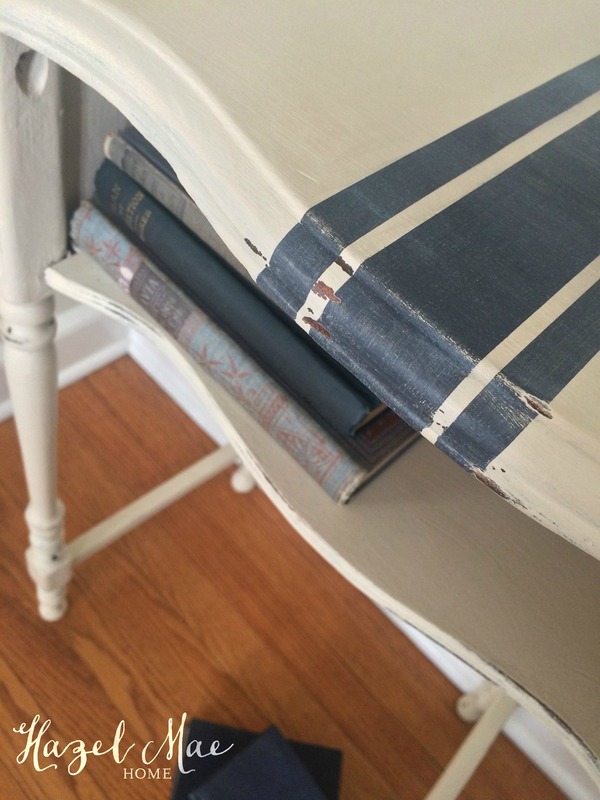 I mentioned in my last blog post that I have been trying some new paint lines. 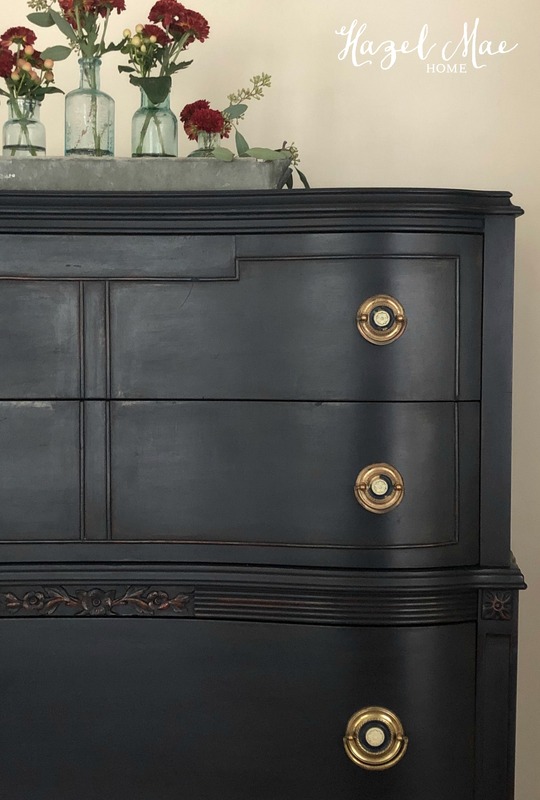 One of these new paint lines is Pure & Original Paint from The Netherlands. 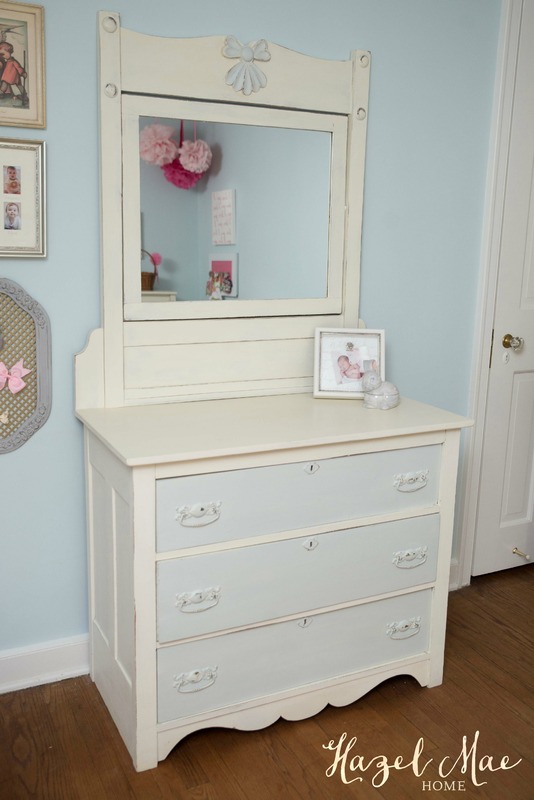 Jessica was happy to allow me to try out this “new to me” paint line on her hutch. 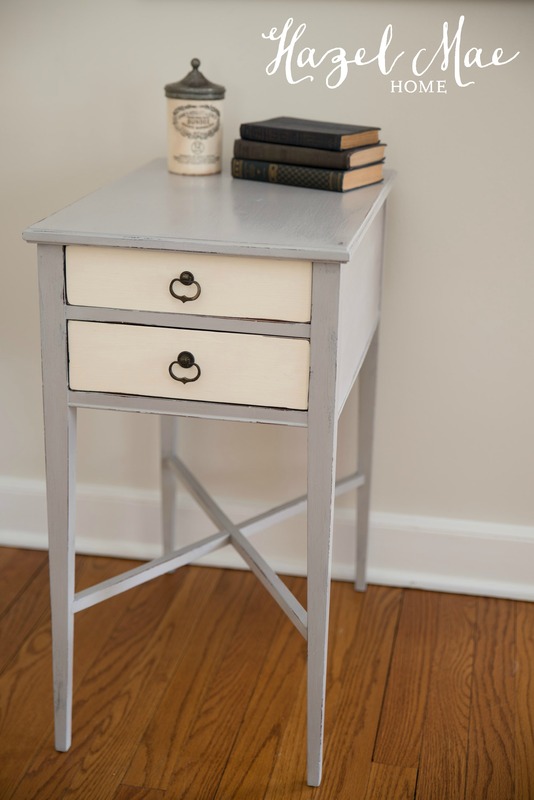 Pure & Original offers over 100 colors and Jessica and I decided on Tin Kettle, a lovely gray. 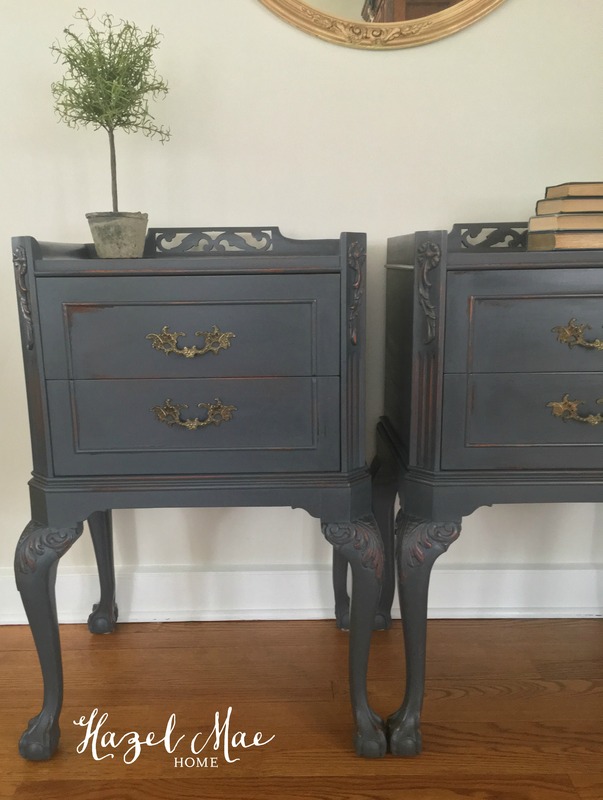 The paint went on beautifully and dries very quickly. 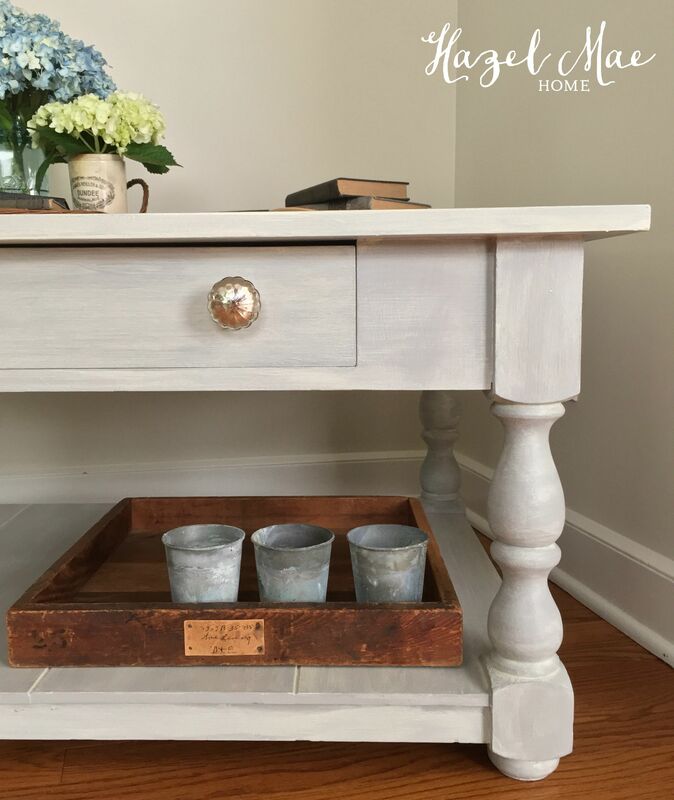 I lightly sanded the entire piece and lightly distressed the edges. 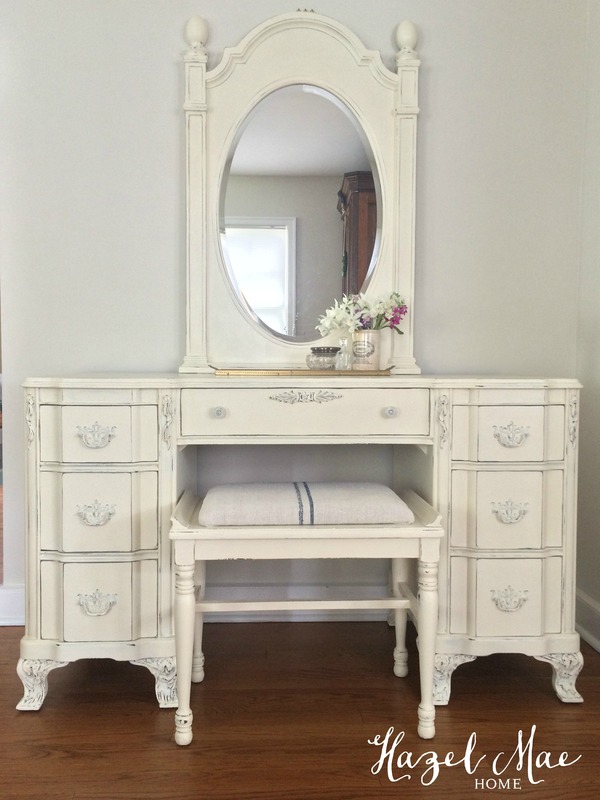 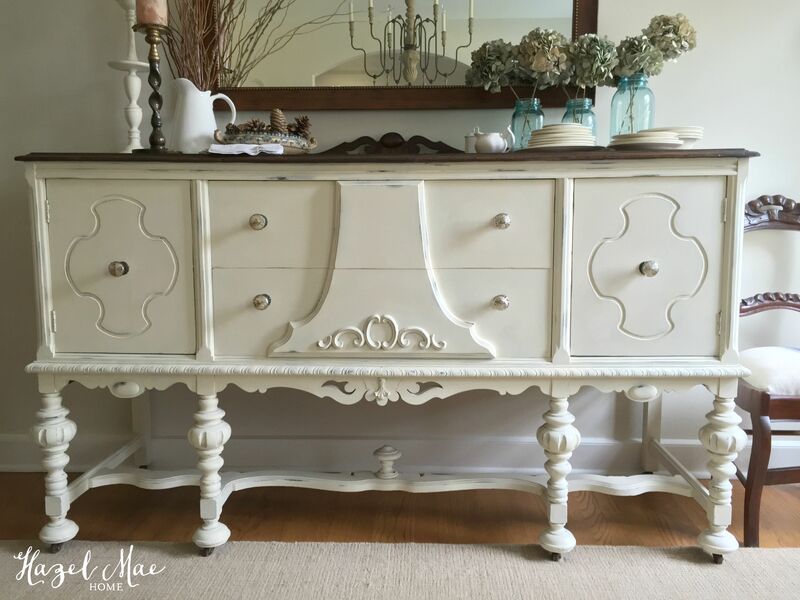 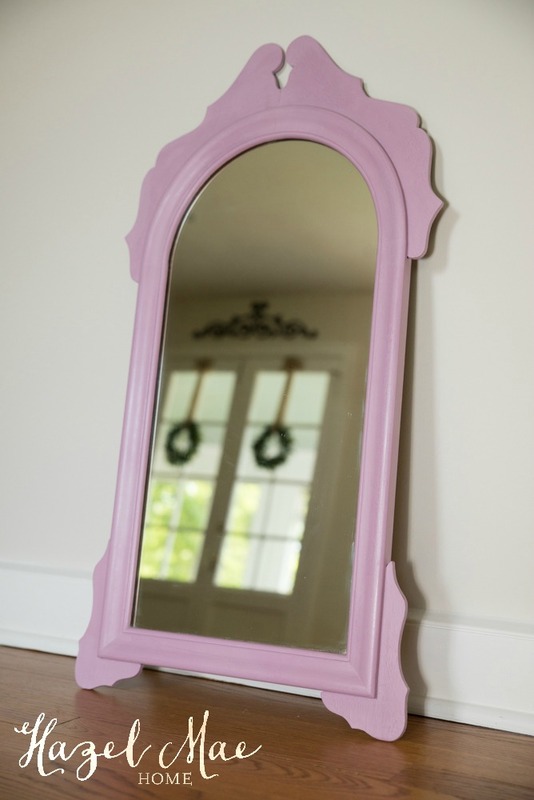 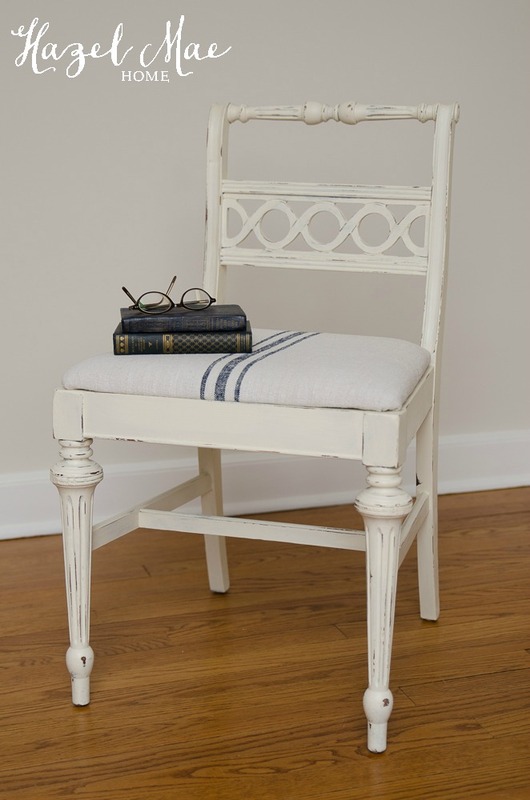 And although not necessary with this paint, I finished with Miss Mustard Seed Furniture Wax. 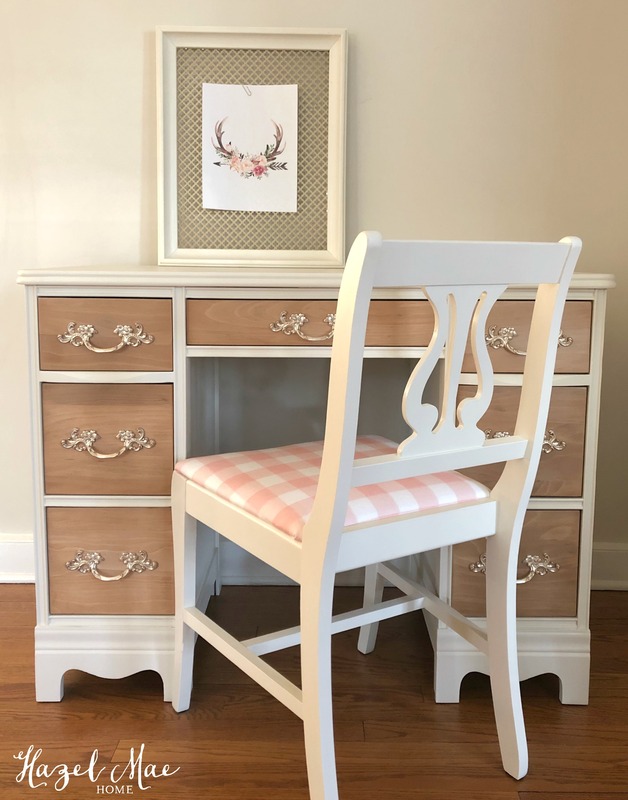 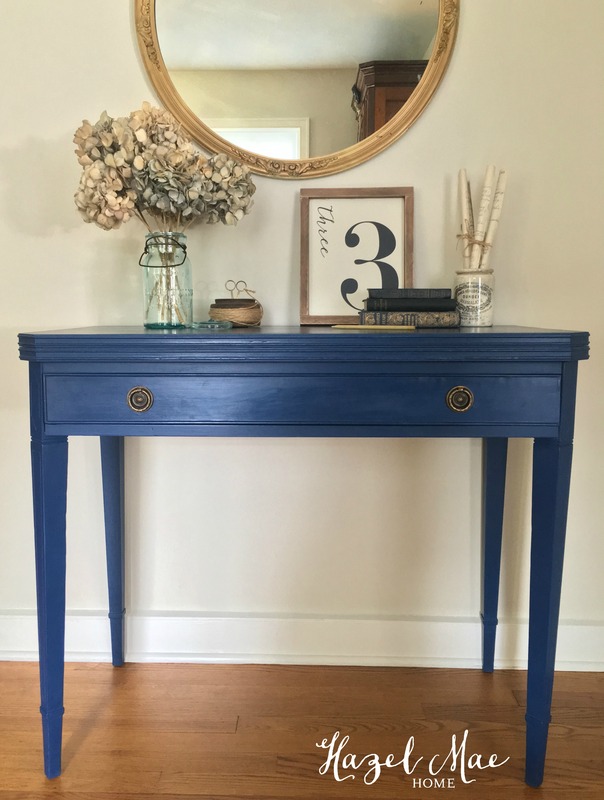 The result is an updated piece of furniture that holds so many cherished memories and now works with Jessica’s redesigned dining room. 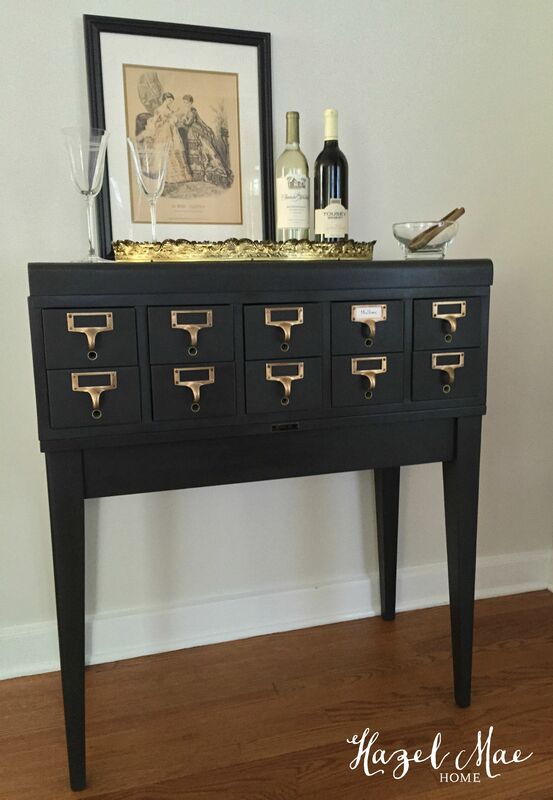 I spray painted the original hardware with Rustoleum’s Oil Rubbed Bronze metallic spray paint. 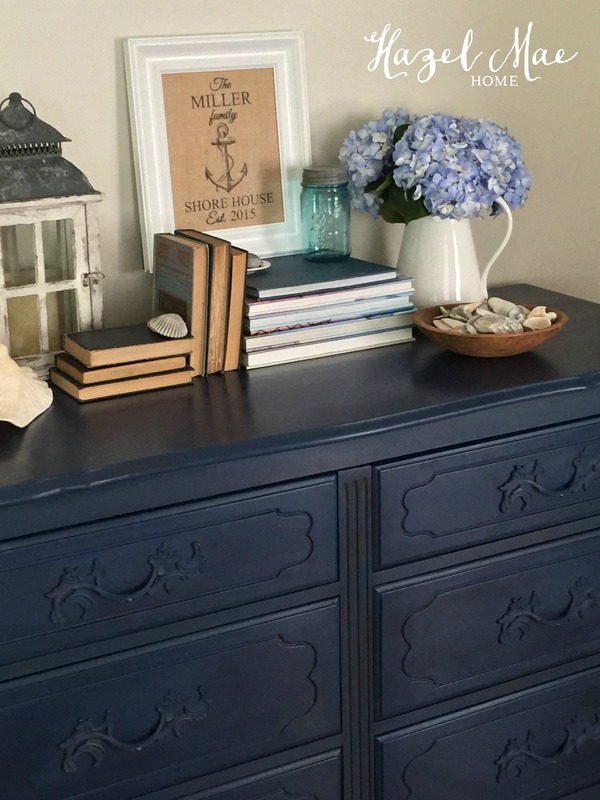 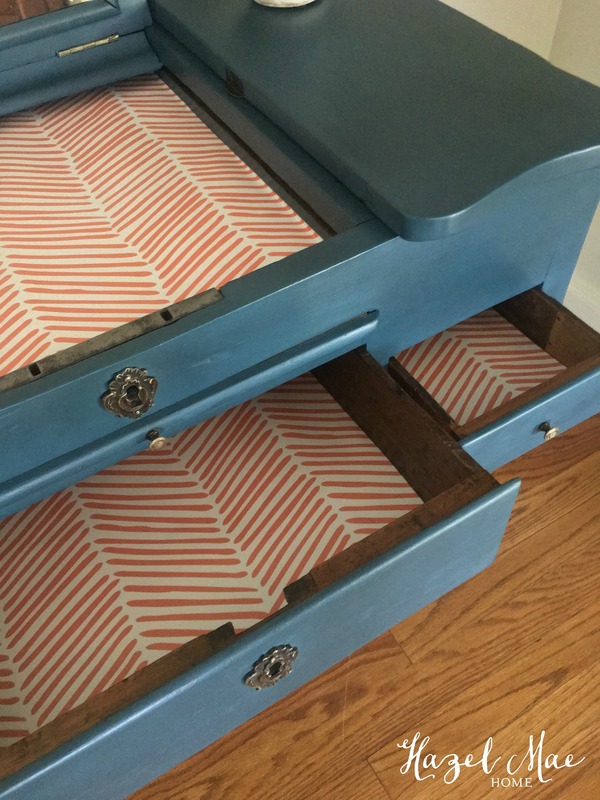 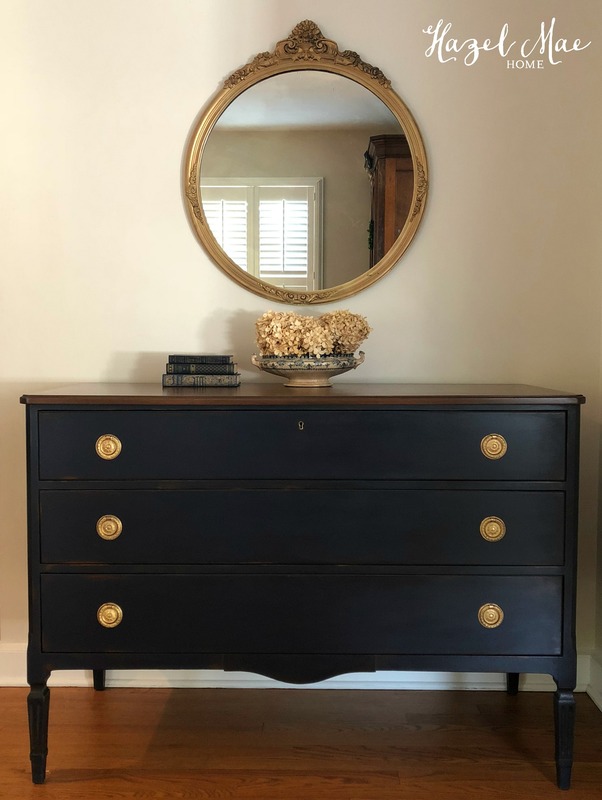 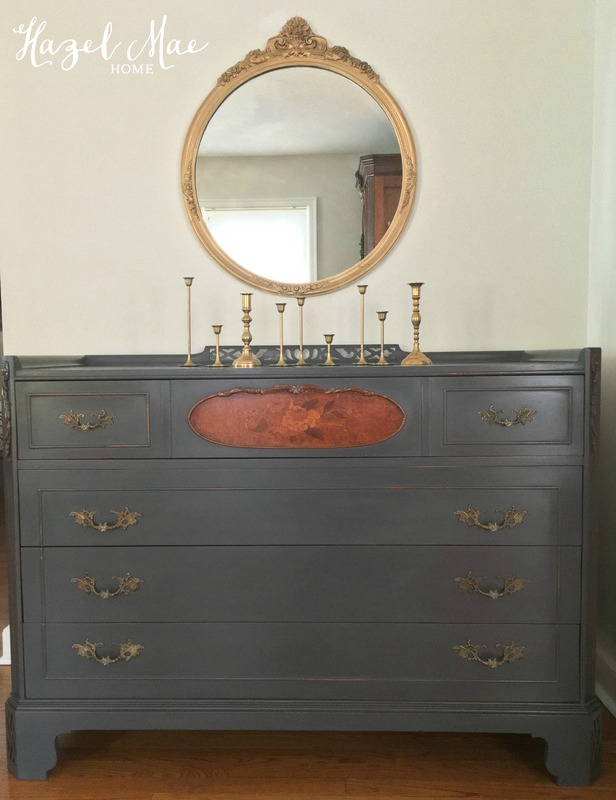 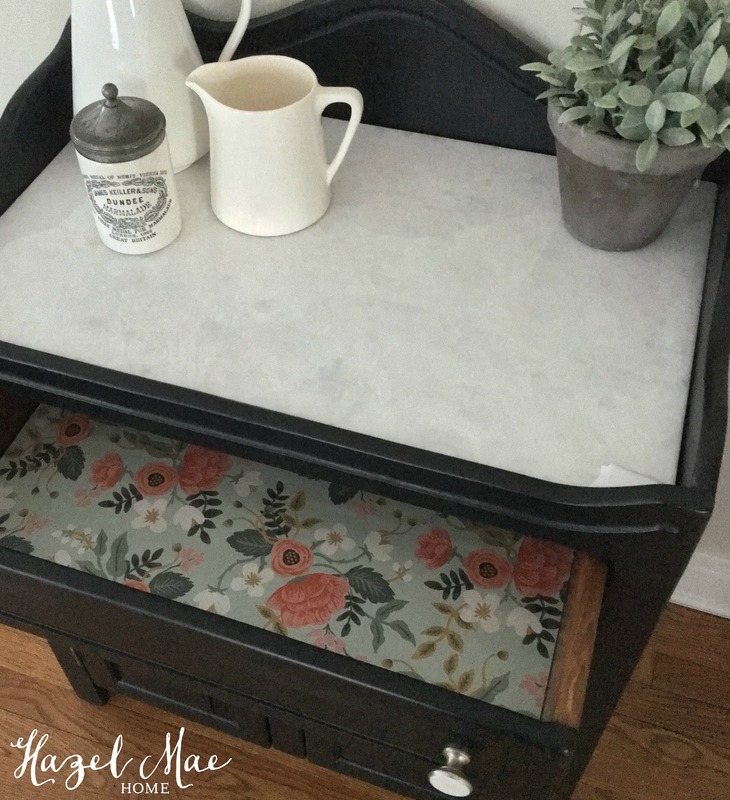 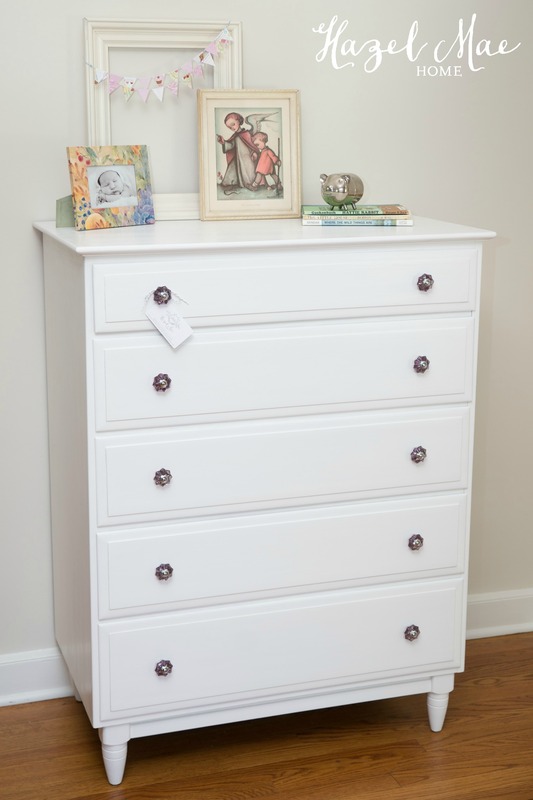 And since the original wood was so orange-y, Jessica and I decided to paint the inside and sides of the drawers in Annie Sloan Graphite Chalk Paint. 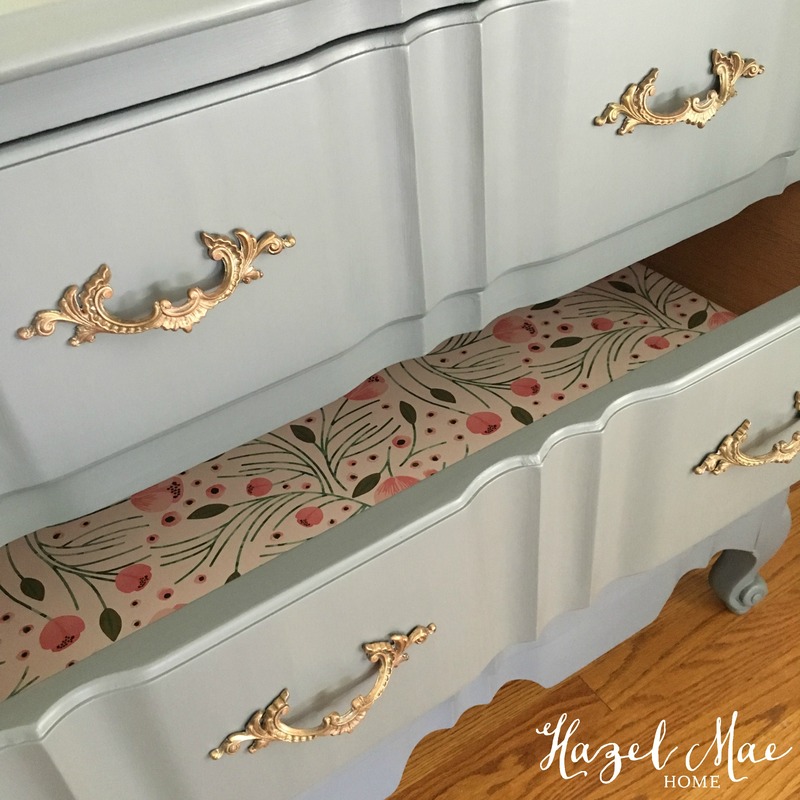 Jessica asked that the drawers be lined with paper having lilac accents, so I searched and found this beautiful floral paper on Spoonflower. 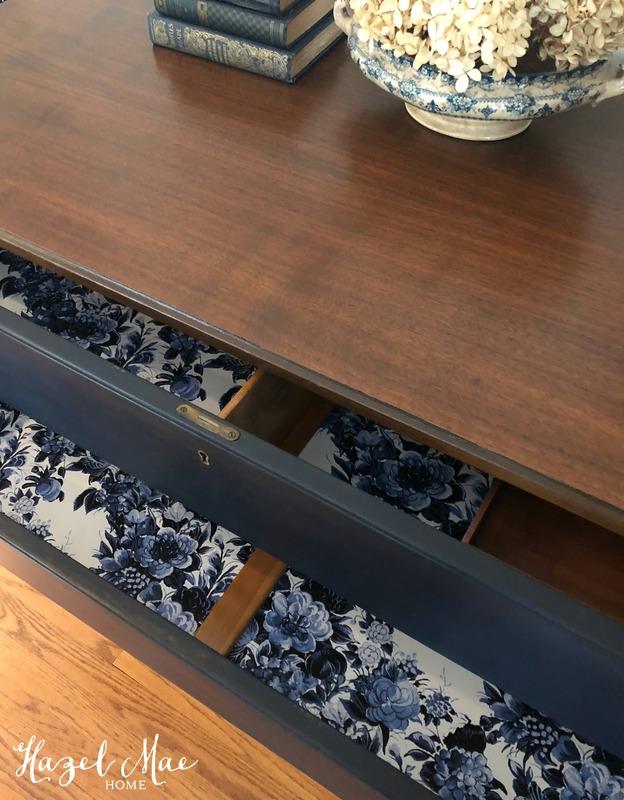 I just love having lined drawers. 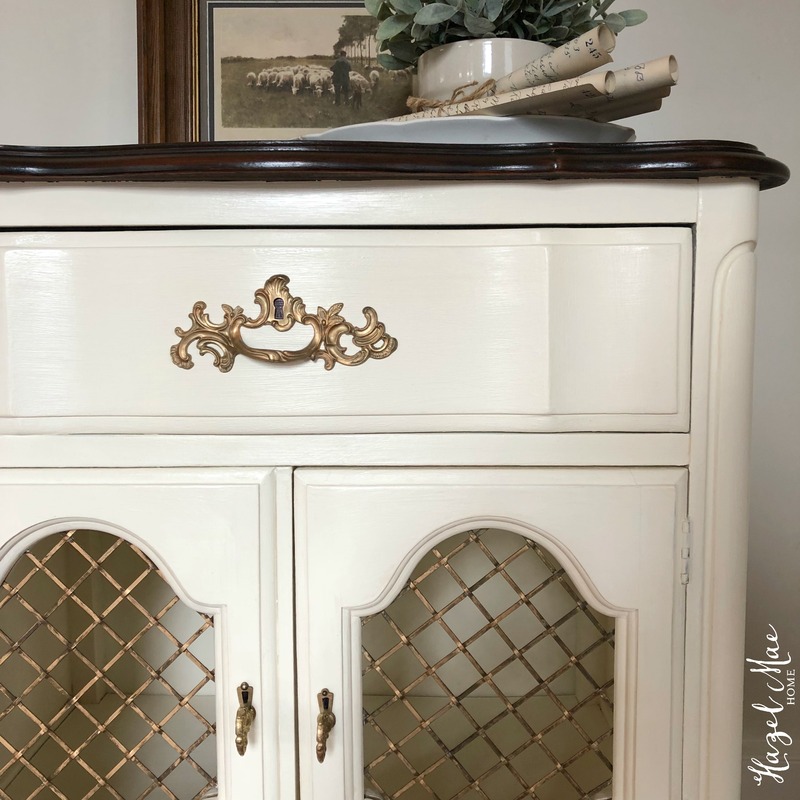 This is a classic hutch that is ready to serve Jessica’s family now and then be handed down to her grandchildren many, many years down the road! 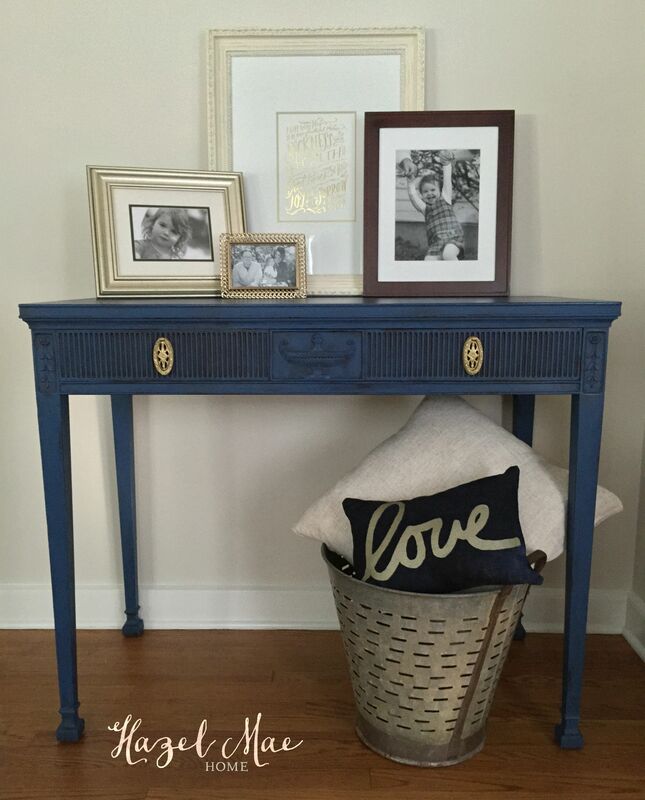 Thank you for trusting me with your cherished furniture, Jessica! 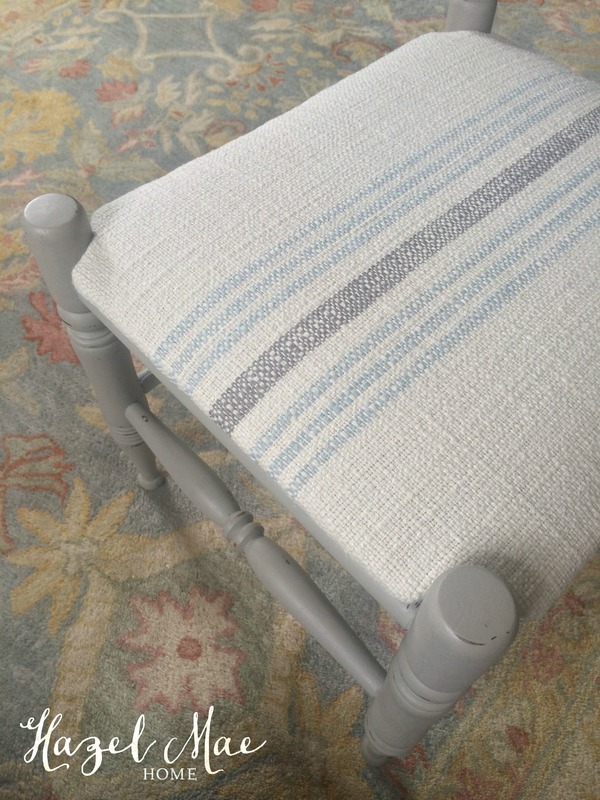 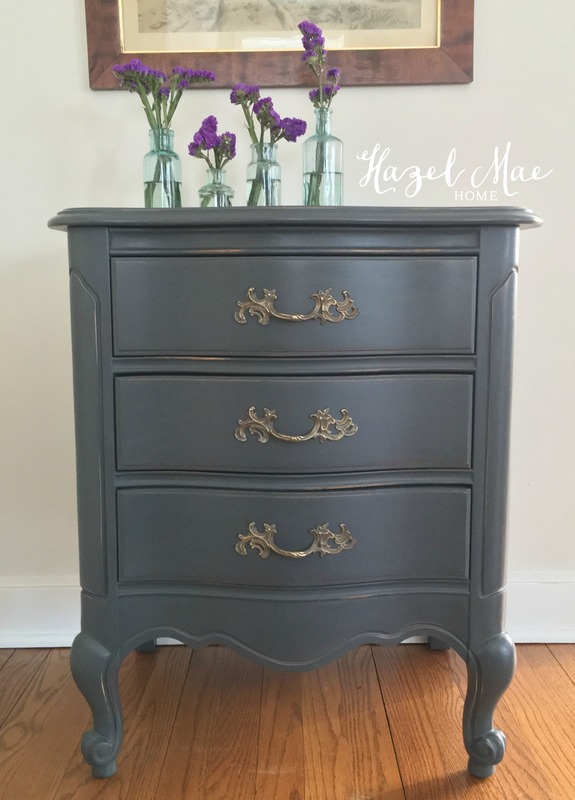 Nice update I am very fond of gray painted furniture. 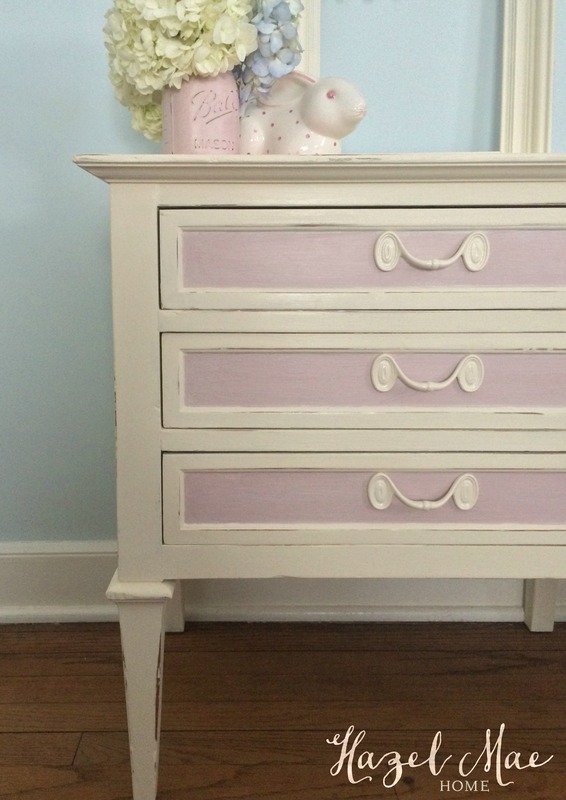 This is the second time I have seen this paint mentioned I am going to try to locate here in South Carolina. 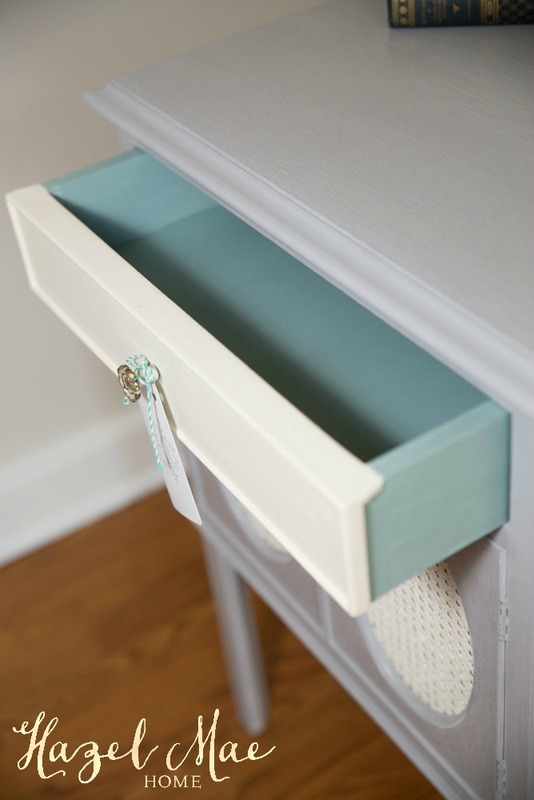 I love that you line the drawers nice touch.